After a five-year cruise through space, NASA’s Juno spacecraft has entered orbit around Jupiter. NASA’s Juno spacecraft captured a unique time-lapse movie of the Galilean satellites in motion about Jupiter. The movie begins on June 12th with Juno 10 million miles from Jupiter, and ends on June 29th, 3 million miles distant. The innermost moon is volcanic Io; next in line is the ice-crusted ocean world Europa, followed by massive Ganymede, and finally, heavily cratered Callisto. Galileo observed these moons to change position with respect to Jupiter over the course of a few nights. From this observation he realized that the moons were orbiting mighty Jupiter, a truth that forever changed humanity’s understanding of our place in the cosmos. Earth was not the center of the Universe. For the first time in history, we look upon these moons as they orbit Jupiter and share in Galileo’s revelation. This is the motion of nature’s harmony. After an almost five-year journey to the solar system’s largest planet, NASA’s Juno spacecraft successfully entered Jupiter’s orbit during a 35-minute engine burn. Confirmation that the burn had completed was received on Earth at 8:53 p.m. PDT (11:53 p.m. EDT) Monday, July 4. Confirmation of a successful orbit insertion was received from Juno tracking data monitored at the navigation facility at NASA’s Jet Propulsion Laboratory (JPL) in Pasadena, California, as well as at the Lockheed Martin Juno operations center in Littleton, Colorado. The telemetry and tracking data were received by NASA’s Deep Space Network antennas in Goldstone, California, and Canberra, Australia. Preplanned events leading up to the orbital insertion engine burn included changing the spacecraft’s attitude to point the main engine in the desired direction and then increasing the spacecraft’s rotation rate from 2 to 5 revolutions per minute (RPM) to help stabilize it.. The burn of Juno’s 645-Newton Leros-1b main engine began on time at 8:18 p.m. PDT (11:18 p.m. EDT), decreasing the spacecraft’s velocity by 1,212 miles per hour (542 meters per second) and allowing Juno to be captured in orbit around Jupiter. Soon after the burn was completed, Juno turned so that the sun’s rays could once again reach the 18,698 individual solar cells that give Juno its energy. Over the next few months, Juno’s mission and science teams will perform final testing on the spacecraft’s subsystems, final calibration of science instruments and some science collection. Juno’s principal goal is to understand the origin and evolution of Jupiter. With its suite of nine science instruments, Juno will investigate the existence of a solid planetary core, map Jupiter’s intense magnetic field, measure the amount of water and ammonia in the deep atmosphere, and observe the planet’s auroras. The mission also will let us take a giant step forward in our understanding of how giant planets form and the role these titans played in putting together the rest of the solar system. As our primary example of a giant planet, Jupiter also can provide critical knowledge for understanding the planetary systems being discovered around other stars. The Juno spacecraft launched on Aug. 5, 2011 from Cape Canaveral Air Force Station in Florida. JPL manages the Juno mission for NASA. Juno is part of NASA’s New Frontiers Program, managed at NASA’s Marshall Space Flight Center in Huntsville, Alabama, for the agency’s Science Mission Directorate. Lockheed Martin Space Systems in Denver built the spacecraft. The California Institute of Technology in Pasadena manages JPL for NASA. “Late last night, NASA marked another milestone in our exploration of the solar system as the Juno mission sailed into orbit around our largest neighbor, Jupiter, after a five-year journey. I want to congratulate the entire Juno team for this incredible accomplishment, and invite all of you to share in this momentous occasion for the NASA Family. As anyone who works at NASA knows, Juno’s historic mission – the first-ever polar orbit of Jupiter – was the result of a lot of hard work behind the scenes, and years of dedicated planning and passionate commitment to discovery. Juno will skim Jupiter’s atmosphere as close as an incredible 2,600 miles – closer than our robotic eyes have ever been to our mysterious fifth planet. We’ve all seen the bright speck in the night sky that we know is our enormous neighbor, and now Juno is going to give us much more information about the planet’s composition and core and just what goes on beneath those clouds. All of our science missions are helping us to perfect technologies to advance our journey to Mars, and one way Juno is doing this is through its cutting edge solar technology. At some 483 million miles from the sun, it is powered by incredible solar panels that are demonstrating how we can use new sources of power in the proving ground of deep space. For almost two years, we’ll be reaping the benefits as Juno continues to send back volumes of data that scientists will pore over for years. 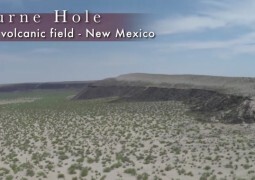 Watch the NASA Goddard Instrument Field Team deployment to the Kilbourne Hole maar crater in New Mexico. 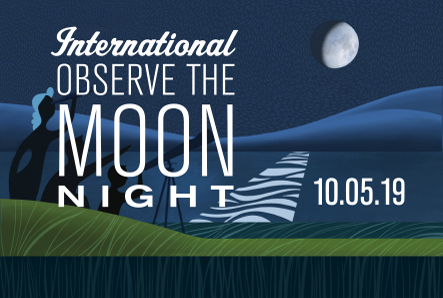 Only about 59 percent of the moon's surface is visible to us here on earth.